gromeul's review (This content has been automatically translated from French)" Good soft mastering!" No worries installation, configuration is simple because there is not a lot of options in the preferences! The manual is clear but I bought the book (in English) published by IKMultimédia to better understand the art of mastering the use of various "racks" effect. iMac 21.5 "2011 i7 2.8 Ghz, 24GB. The software is stable, no crashes. I've had 3/4 years, I have not tried other apps mastering, but I have mastered a full album in my carefree, rendering other sound sources with proven effectiveness treatment of T-Racks. 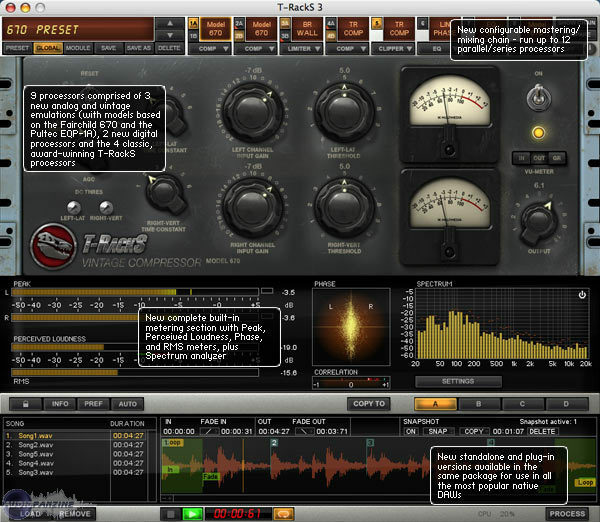 Included the effects of origin are sufficient, although it can go through the online store to purchase other Racks. 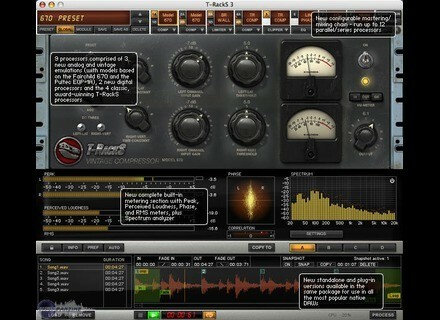 I would use this software again with pleasure when I should mastering new production.